Host Rev. Joshua Scheer and guests Rev. Michael Kearney and Rev. Mike Grieve discuss Article XIIa: Repentance in the Apology of the Augsburg Confession, paragraphs 66-76. Rev. 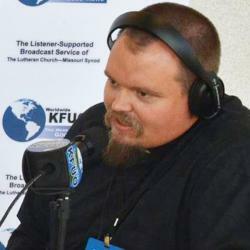 Joshua Scheer is senior pastor of Our Savior Lutheran Church in Cheyenne, Wyoming. Rev. Michael Kearney is pastor of St. Paul Lutheran Church in Alden, Iowa. Rev. Mike Grieve is pastor of Holy Cross Lutheran Church in Golden, Illinois.